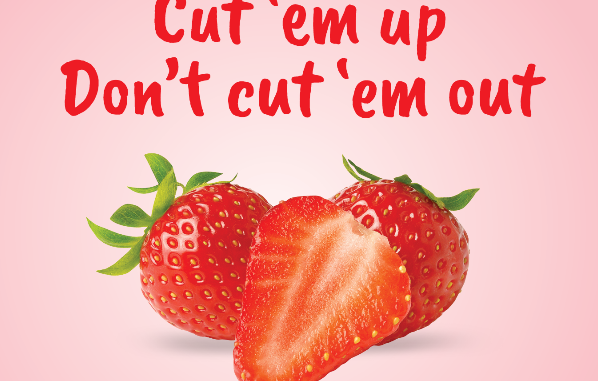 As fears of tampering sweep Australia, strawberry manufacturers mount a campaign for consumers to "cut 'em up, don't cut 'em out'. The needles-in-the-strawberry scare is the food-tampering scandal that has rocked Australia – but it’s far from the first such case to terrify consumers. The scary spectre of finding a needle in your ripe, red fruit is not the first time Australians – or consumers around the world – have been frightened by an incident of supermarket terrorism. In many cases, this has been done to discredit or blackmail a manufacturer or producer for personal gain, or as an act of revenge. In rarer instances, it is used as a sadistic method to harm the public indiscriminately. In perhaps the most famous tampering case in history, a national panic over poisoned pain-relief pills in the US in 1982 – when seven people died after consuming Tylenol capsules laced with potassium cyanide – changed forever the way we take medication. If you’ve ever wanted an explanation for that “child-proof” medicine bottle, there’s your answer. Here are some other cases that terrified the world. Perhaps the most famous tampering/extortion case in Australia before the current strawberry crisis happened in 1997, when iconic brand Arnott’s Biscuits was subject to an extortion demand. The company received letters threatening to poison packets of Arnott’s Monte Carlo biscuits unless demands were met. The demand: that a Queensland prisoner be released from jail and that four NSW police officers take a lie detector test about evidence that convicted Ronald Henry Thomas, who was jailed in 1991 for the murders of Peter Wade and Maureen Ambrose. Six packages containing poisoned Monte Carlo biscuits were sent, along with demand letters to identities and corporations in NSW and Queensland. Arnott’s began a massive recall of many of its products and launched a publicly campaign, which included publishing the demands in full-page advertisements. Via DNA evidence left on a stamp, police claimed to have traced the extortion threat to 67-year-old Joy Ellen Thomas, the prisoner’s mother. But in 2002, before the case was taken to trial, the case was dismissed after a forensic biologist went back on his previous assertion linking the DNA result to Ms Thomas. Arnott’s estimated it lost around $21 million from the recall, but the company was praised for its public efforts in dealing with the blackmail. The case has been taught as an example of how to deal with such extortion attempts in risk-management and business courses. As the year went on, razor blades, tacks, broken glass and needles were discovered in over 50 jars of baby food produced by Heinz and Cows & Gate. The two companies joined together to offer a $169,000 reward for information leading to an arrest. The widespread media attention of this case in turn caused copycats, which resulted in Heinz packaging all baby food jars in a layer of plastic in order to quell tampering. The perpetrators were never caught. In 2006, the Australian restaurant chain Sizzler was targeted with rat poison in its self-serve salad bars. Green pellets were found in two Sizzler outlets, with forensic tests discovering chemicals used in rat poison. No blackmail or threats were made prior or after the incidents, but Sizzler closed all self-serve salad bars across the country as a precaution. The perpetrator was found to be Jacqueline Elizabeth Forbes, who was arrested and charged but later found to be mentally unstable and unfit to stand trial. One of the worse food safety incidents occurred in China in 2008, when milk and baby formula were adulterated with melamine – a chemical used in the production of some plastics. An estimated 300,000 people were affected by the contamination, which resulted in the hospitalization of 54,000 babies. The contamination was found to not be an intentional or malicious act, but due to a widespread practice of using chemical additives such as preservatives and hydrogen peroxide to bolster the supply of milk products. Many companies were found to be complicit in the practice of adulterating their formulas. Three dozen people were eventually arrested and charged with various crimes. The most severe punishment: two men, a dairy farmer and a milk supplier, were sentenced to death and executed in 2009. In June 1986, in Auburn, Washington, Susan Snow took two extra-strength Excedrin capsules for an early-morning headache and was found unresponsive by her daughter later that morning. She died later that day. During the autopsy, the medical examiner detected the scent of “bitter almonds” – an odour indicative of cyanide poisoning. Tests verified that Snow had consumed cyanide. Investigators found Snow and her husband had taken capsules that morning and that three of the remaining 60 capsules contained cyanide. The news caused widespread panic when another bottle of tainted capsules was found in a grocery store.Drug manufacturer Bristol Meyers recalled Excedrin from stores in the Washington area. An earlier incident was brought to the attention of investigators, involving Stella Nickell, whose husband Bruce Nickell had died after taking Excedrin. His death had been deemed due to natural causes. Stella Nickell now claimed she believed his death was caused by cyanide poisoning and pursued a wrongful death suit. But further investigations found that Nickell had taken out $76,000 worth of life insurance on her husband’s life – with an additional $100,000 if the death was ruled an accident. She was eventually charged with five counts of product tampering, including two that resulted in the death of Bruce Nickell and Susan Snow. It was found that she tampered with multiple bottles in order to cause the death of someone else, which she could then use to overturn the ruling of natural causes in her husband’s death. She was sentenced to two 90-year prison terms and three 10-year terms for the other product tampering charges. While no deaths or injuries occurred from the incident itself, the blackmailing of Japanese confectionary companies Ezaki Glico and Morinaga involved breaking and entering, kidnapping, extortion and arson – leading authorities on a 17-month manhunt. Late in the evening of March 18, 1984 two masked men armed with pistols and a rifle entered the home Katsuhisa Ezaki, the president of Glico. He was kidnapped by the two men and kept as captive in a warehouse. The following morning the men called the director of the company demanding 1 billion yen and 100 kilos of gold bullion. Three days later the Ezaki was able to break free and escape the warehouse but the this did not end the ordeal for the company. A month later at the headquarters of the Glico multiple vehicles were set alight in the parking lot a few days later the arson attack was followed by a container of acid being sent to the company along with a threating letter. On May 10 Glico began receiving letters from a person/or group calling themselves “The Monster With 21 Faces” – the name comes from a popular Japanese detective novel whose villain share the same name. The “Monster” – though requesting no money – claimed they had laced Glico’s candies with potassium cyanide. Fearing the poisoning may be true, Glico pulled all its products from the shelves. The “Monster” then threatened to put the tampered candies on shelves itself. A man was caught on security camera placing candies on a shelve after this threat, but he was never identified. The ‘Monster’ then began sending mocking letters to the police, later turning its extortion campaign to food companies Marudai Ham and House Foods Corporation. The case ran for months but was never solved. In August 1985 – following more harassment campaigns and the continued failure to catch the perpetrators, Police Superintendent Shoji Yamamoto of Shiga Prefecture committed suicide by setting himself on fire after being relieved of his duty. After this message, the group was never heard from again. No suspects were ever charged.